Gina Bocock is the daughter of Maxine Bird (Crane Creek) and Gino Brugnoli (Thornhill). 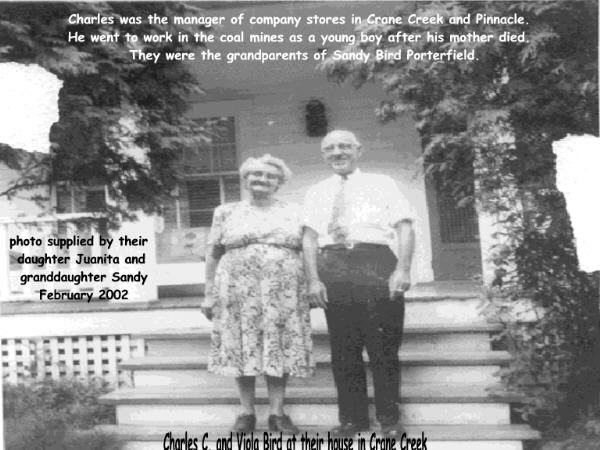 Maxine's father was Charlie Bird Manager of the American Coal Companies Crane Creek and Pinnacle Company Stores (see Charlie and Viola Bird in photo at the left). 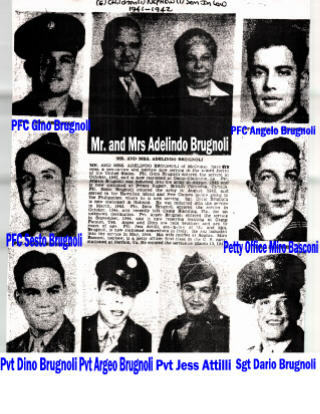 Gino's family are documented on the Thornhill page of my McComas Web Site. Gino is top left in the photo below with his parents/Gina's grandparents top center. Gina inherited these McComas flood photo's from her McComas ancestors and has graceously shared them with this website. 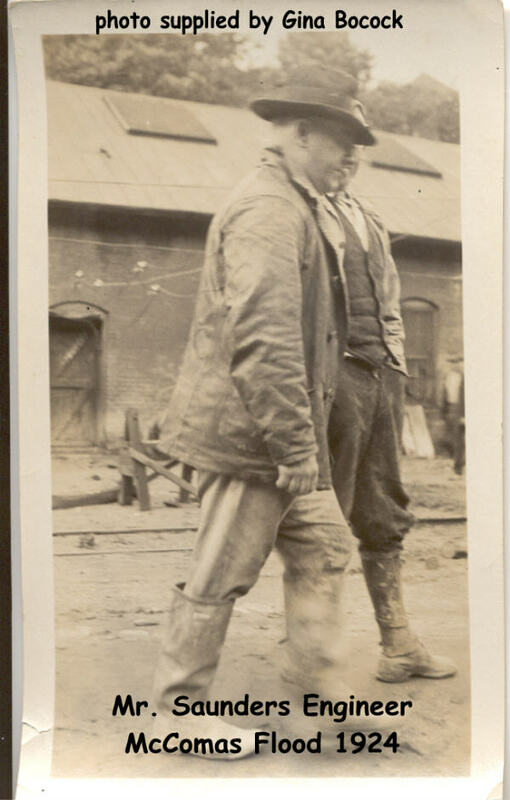 Henry W. Saunders Chief Engineer, American Coal Company, McComas surveys the damage!